How do we create more happiness? 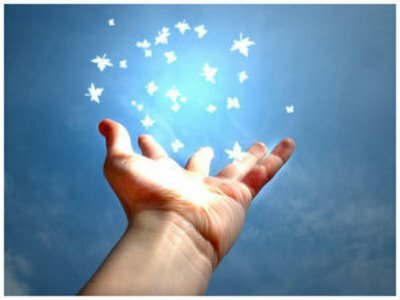 Is the key to happiness found in letting go? Are you willing to give up the following 5 things? 1. The habit of blaming. Blaming others does not absolve you of taking responsibility for your own well being. It takes away energy from you moving forward and finding a solution. 2. The need to impress. Accept who you are. Embrace your flaws, skills and vulnerability. Get comfortable in your own skin. 3. Being a victim. Bad things happen to good people. Life can be unfair. If you identify as a victim rather than a victor you can not nurture your ability to move beyond unhappiness. 4. Feeling entitled. If you live your life with the feeling that you are owed things, you will be disappointed. Be grateful for what you have. See positive things as bonuses rather than owed expectations. 5. Pretending. Are you trying to show the world that you are flawless in hopes that you will be liked? There is beauty in our vulnerability. If we are authentic, we open ourselves for a true connection with others. Deciding what not to do may be more important than deciding what to do. In an age of excess everything, can we add value to our lives by subtracting? If you find yourself already overburdened, stressed and miserable, loosen those white knuckles and let go. You have a lot to lose. And, that may be a good thing.